Kansas City, KS - On Saturday, November 6, 2010, Memorial Saturday, after serving Holy Hierarchical Divine Liturgy in New Gracanica Monastery, His Grace Bishop Longin, accompanied by Deacon Nikolaj Kostur, traveled to Kansas City in order to visit its parishes. 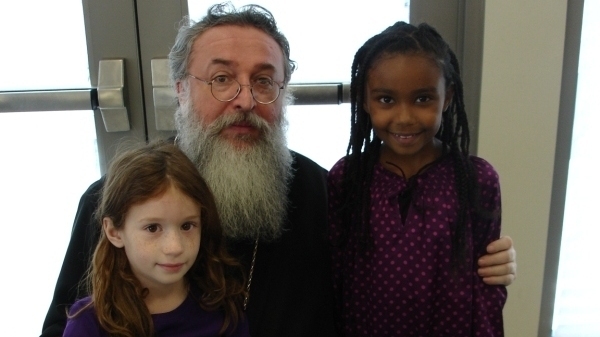 On Saturday evening, His Grace met with the parishioners of St. Mary of Egypt Church in the afternoon hours. This community, with its priest Fr. Paisius Altschul, is in the center of Kansas City and is very active with its social works. Every Friday, this parish opens its doors to feed the hungry, give drink to the thirsty and show true Christian love to their neighbors. After a discussion with the faithful people, Vladika was present at Vespers, at which the church choir under the direction of Abbess Brigid of St. Pachomius Monastery responded. 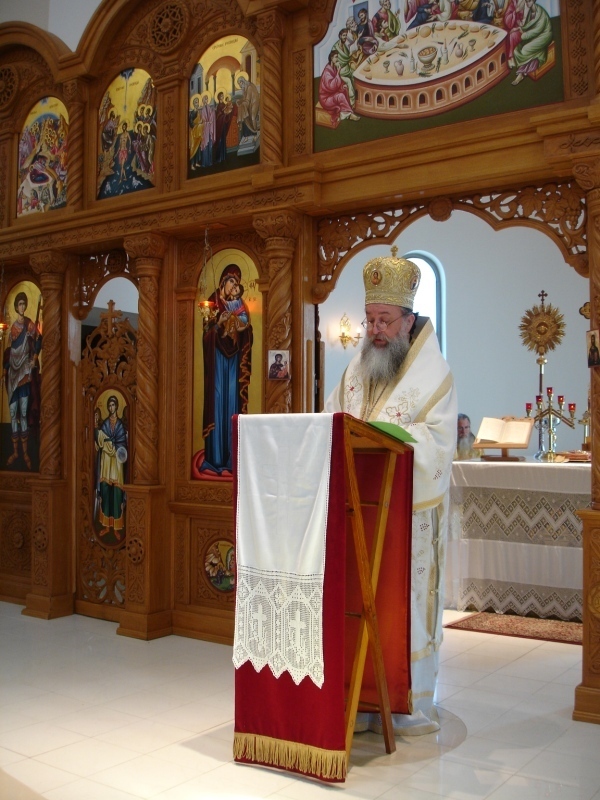 On Sunday, Bishop Longin served Holy Hierarchical Liturgy in St. George Church in Kansas City (Lenexa), Kansas. Serving with His Grace were Archpriest Aleksandar Bugarin, Priest Paisius Altschul and Deacons Nikolaj Kostur, Vladimir Lange and Theophan Frazier. After the Great Entrance, Vladika ordained Deacon Vladimir Lange to the Priesthood. God willing, Fr. 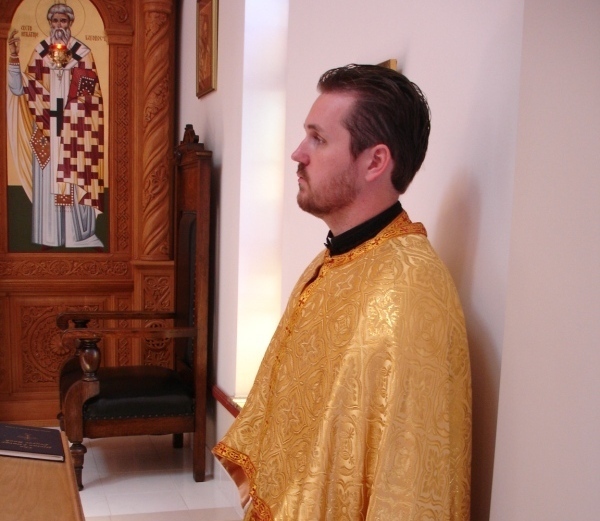 Vladimir, who was raised in this parish and successfully completed studies at Holy Cross School of Theology (Greek Orthodox Archdiocese) in Boston, will serve at St. Archangel Michael Church in Hibbing, Minnesota. After the service, Bishop Longin gave a sermon on the theme of the day’s Gospel Reading. Vladika spoke about the importance of prayer, participation in Divine Services, and most importantly, communion of the Holy Mysteries. 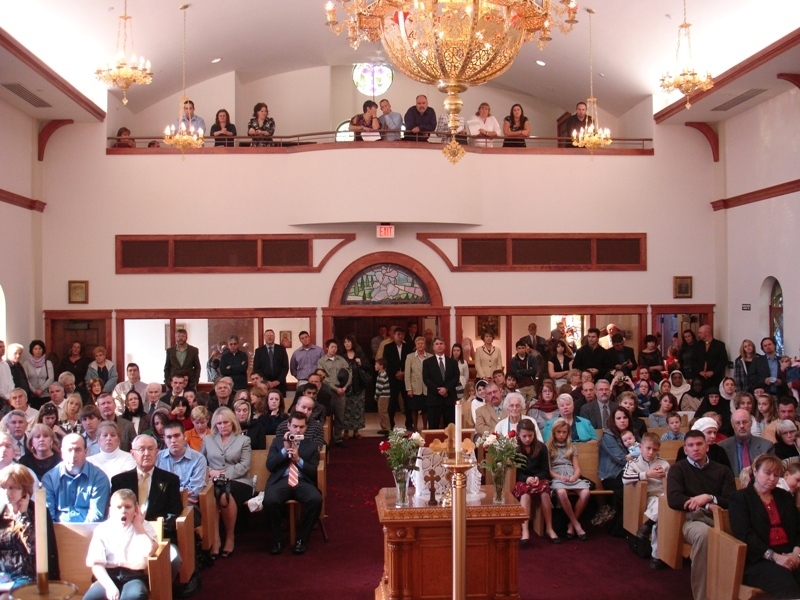 After Divine Liturgy, a luncheon was held in the church hall. Vladika as well as the parish priest and parishioners congratulated Fr. Vladimir and his family. After that, the children of the church school entertained the guests with a cultural program. 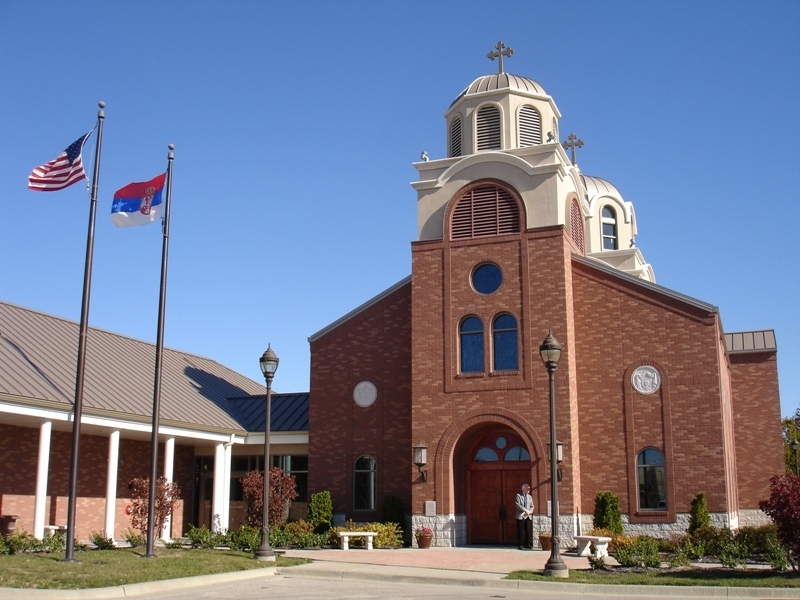 After lunch, His Grace returned to Chicago in order to serve for the feast of Great-martyr Demetrius in the Monastery of the Nativity of the Mother of God in New Carlisle, Indiana.